Our expert panel explored the legal and political issues surrounding the intervention in Libya. Donald R Rothwell is a Professor of International Law at the ANU College of Law, Australian National University. His research includes a specific focus on the use of force. He is an active media commentator and in 2008 he was awarded the Vice-Chancellor's Award for Community Outreach at the ANU. He is the current Co-Editor in Chief of the Australian Year Book of International Law. 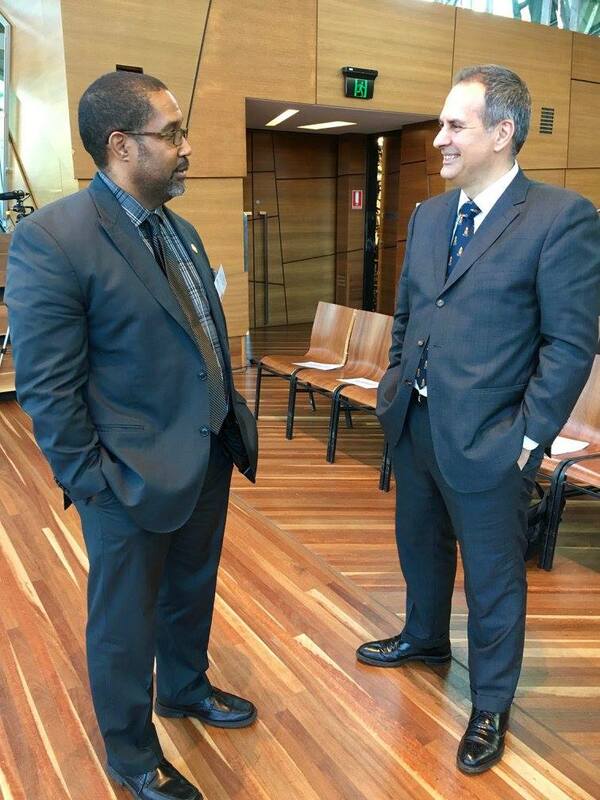 Gideon Boas is an Associate Professor in the Law Faculty at Monash University. He is an expert in international criminal justice, international law and international humanitarian law. Prior to Monash, he was a Senior Legal Officer at the International Criminal Tribunal for the former Yugoslavia. He is regularly consulted by the media for his views on international law, politics and criminal justice, including recently in relation to the situation in Libya. Jeff Sparrow is an Australian writer, editor and activist, currently working as a Research Fellow at Victoria University and is the editor of the literary journal Overland. Sparrow has authored a number of books most recently Killing: Misadventures in Violence, which was a finalist in the Melbourne Prize for Literature Best Writing Award 2009. He contributes regularly to Crikey, New Matilda, ABC The Drum Unleashed and other online outlets.